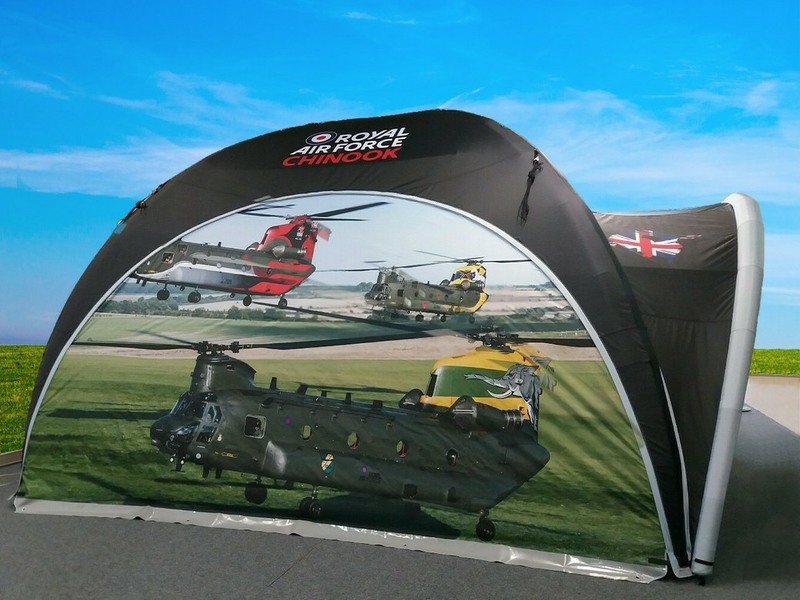 The RAF Chinnook Display Team put on demonstrations of this incredible aircraft at outdoor events throughout the summer each year. 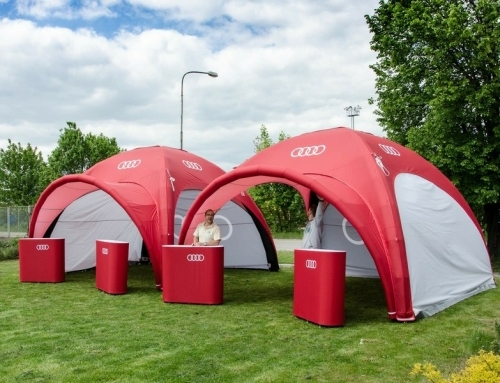 Having a very conspicuous and fully branded event tent helps visitors to find their stand easily. 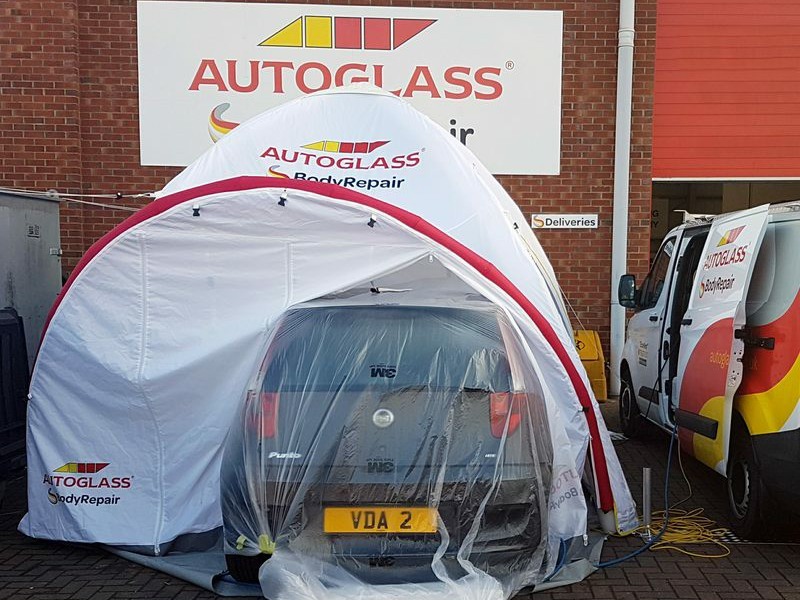 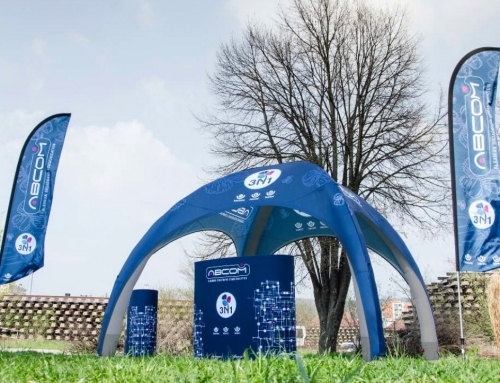 This Axion Square 4m x 4m event tent with a visor over the entrance, suits their needs perfectly. 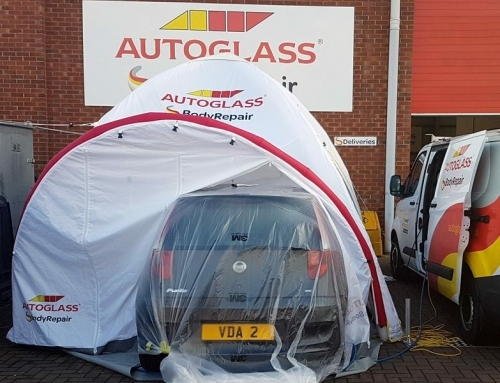 It takes just minutes to erect or de-rig and pack away and once deflated in can be carried by one person and fits easily into the boot of a small hatchback, let alone a Chinnook helicopter! 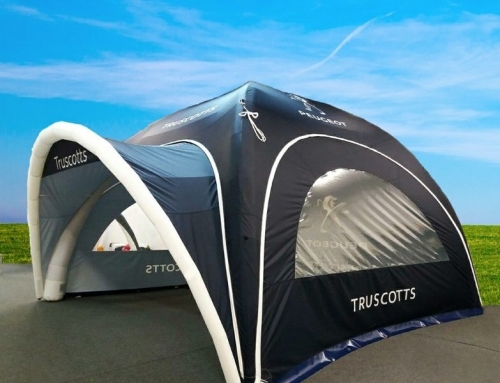 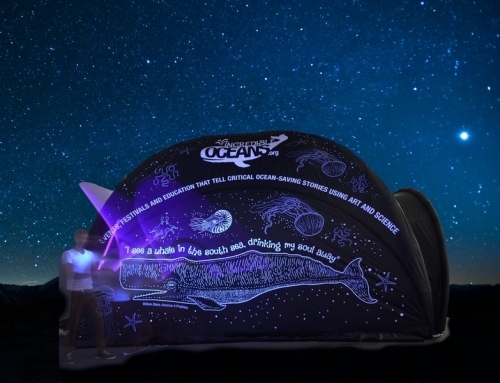 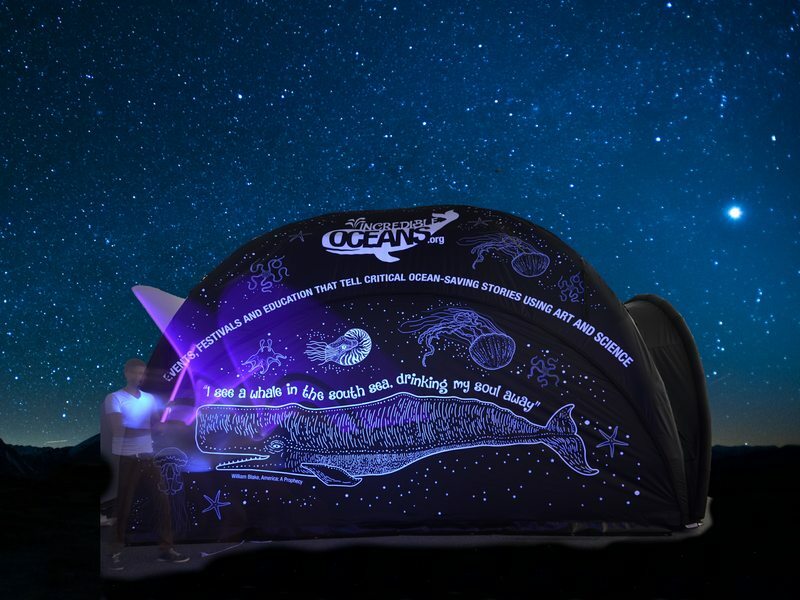 The event tent can be inflated from a 230V mains supply, 12 Volt car battery, or a hand pump (any of these can be supplied with the tent) and once inflated the pump can be put away as the chambers are sealed and so do not require a continuously running and noisy fan like so many other inflatables. 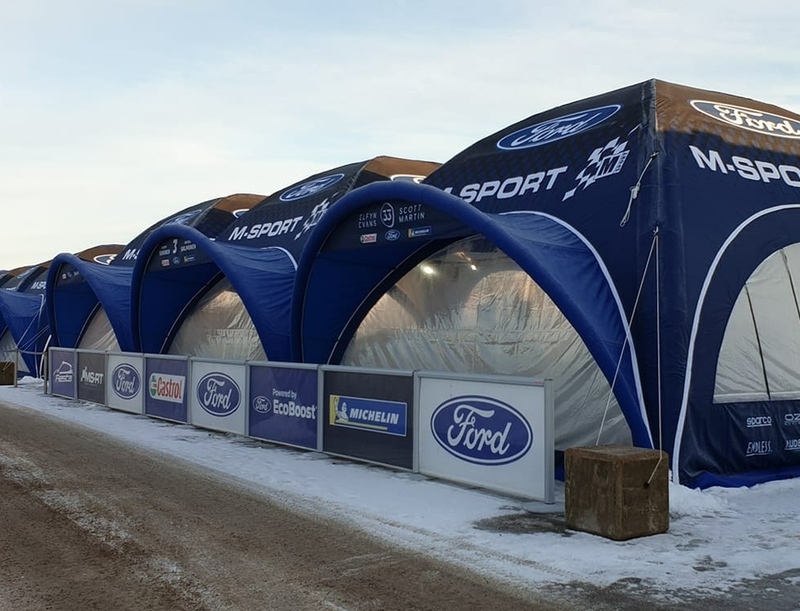 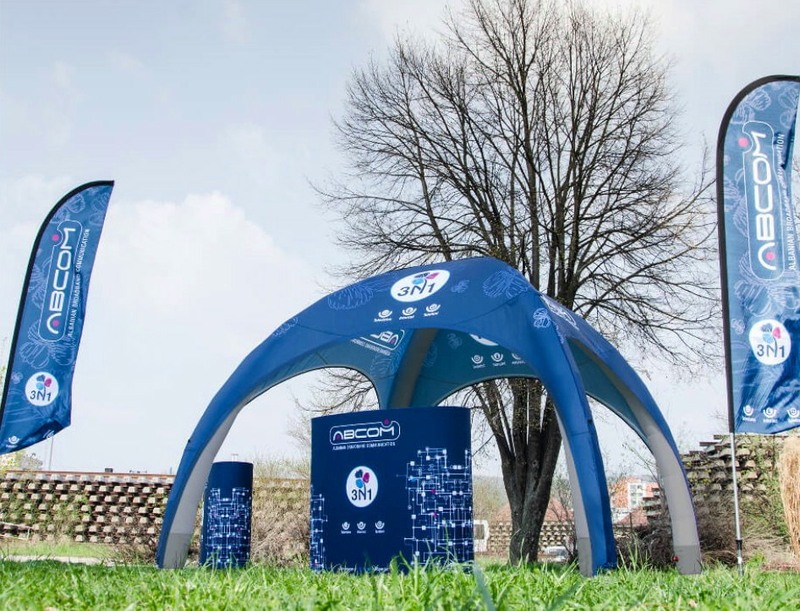 Inflatable Structures Ltd are sole UK suppliers for the Axion range of event tents which offers 7 different designs and from 11 to 125 m2 of floor space. Contact us for free and helpful advice for your event structure needs, we would be pleased to hear from you.